Is the cross for all believers or just a select few? Just for the “Seal Team Six” Christians? For example, some have focused on the “I want to know Christ” part. This is good. We need to know Jesus, growing in our relationship with Him in intimacy and knowledge. But this is where the “preaching” stops. Others have focused on “the Power of His Resurrection,” part. This, too, is good—very good. In Christ, we have this resurrection, overcoming, victorious power that conquers sin and death…. But this is where the “preaching” stops. Now, if you will indulge me and allow me to share a few of my “ponderings”. But I ask again, is this “cross of death,” which precedes the resurrection, for all believers or a select few? Well, if “I want to know Christ,” is for all believers, and if “the Power of His Resurrection,” is for all believers, don’t you think it naturally follows that what precedes the resurrection—the suffering & death—is for all believers? What are your thoughts? As we celebration the Joys, the Victories, the Overcoming Power that is found in Resurrection Sunday (aka Easter), join me in pondering “the Good” of Good Friday that precedes the explosion on Sunday: The Resurrection! And, again, please feel free to share your thoughts on this. Main Text— Philippians 3:10-11 (NIV84)— 10 I want to know Christ and the power of His resurrection and the fellowship of sharing in His sufferings, becoming like Him in His death, 11 and so, somehow, to attain to the resurrection from the dead. Heavenly Father, I thank you for the Cross and its transforming work in my life. “May I never boast except in the cross of our Lord Jesus Christ, through which the world has been crucified to me, and I to the world.” (Galatians 6:14). Today we begin our third week of prayer and fasting as we also journey into the Heartwork devotion. This morning’s Heartwork devotion is entitled, “Day 16: Co-suffering with Christ.” Intriguingly, suffering in some cultures is normal while in other cultures it is not. Suffering on any level is often met with a little whine and a little pill (or several). Many people are allergic to suffering; when it starts, they break out in hurt all over…. Every Christian must realize that at some point in their lives they are going to suffer for Jesus, but not in ways that we may think. 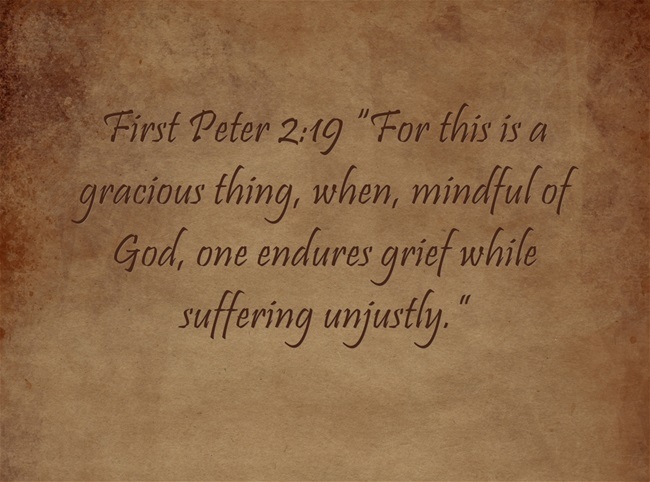 For instance, when our brothers and sisters suffer, our suffering may be joining them in theirs. When we are suffering for them, we are actually suffering for Him. At least this is how I read 1 Corinthians 12:26 (main text noted below). Or perhaps I should be phrasing all this as questions? Is it possible that my current pain is but a reflection of the vicarious suffering for a brother or sister who is right now suffering in a prison cell in some distant land? Are we that connected in the Body of Christ as v. 27 seems to imply? If Jesus suffered vicariously (in the place of) me and my sins, and I want to be more like Jesus, does it not also follow that I, too, will suffer for others—be it their sins or their personal suffering? Main Text: — 1 Corinthians 12:26 (NASB95)— And if one member suffers, all the members suffer with it; if one member is honored, all the members rejoice with it. Now you are Christ’s body, and individually members of it. Heavenly Father, as You empower me by Your Holy Spirt to endure the sufferings that You have in advanced prepared for me to walk in, may I be faithful to carry this cross as the Lord Jesus Christ is honor in and through my Life…. In His Name, Amen.